This article is number 5 in a series covering the most important tournaments in the 2011 WSOP. Poker has been making waves all over the world. In fact, the game has entered the World Wide Web, thus, reaching more and more people to enjoy the card game. 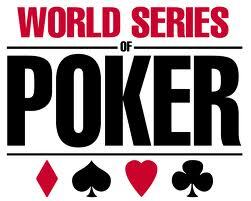 The WSOP (refers to World Series of Poker) has been the oldest and prestigious poker tournament way back 1970’s. Today, it has been participated by more than 70,000 poker fans from over a hundred participating countries. The 2010 WSOP event has fascinated 72,966 participants coming from 117 countries across the globe and awarded more than $187 million prize money. Certainly, poker has come a long way which started out to be just a family card game. The No-Limit Hold’em poker event is the main event of any poker tournament including the WSOP. But, the entire tournament is played by various poker events like the Seven Card Stud Championship. How is this poker game played? Seven card stud is another famous poker variation where it is played by up to eight persons. Players will receive two faced down cards and one faced up card prior to the first round of betting. After which, three more face up cards are given with betting round succeeding each card. Once the last faced down card is traded, the final betting round will proceed and the one that turns out to have the best five-card hand wins the game. The seven card stud poker game is somewhat aggressive but is the easiest poker game to play if you’re aiming for a profit. Now, let us take a recap of last year’s Seven Card Stud Championship. Last year’s Seven Card Stud Championship was scheduled as event #10 with $10,000 buy-in. This 3-day event was participated in by 150 professional poker players from different countries of which Men Nguyen took home the prize money and golden WSOP bracelet. A native from Phan Thiet, Vietnam and a pro in poker game; Nguyen won a cash prize amounting to $394,807 overpowering the rest of the participants which includes Brandon Adams, Steve Billirakis, Nikolay Evdakov, Joe Cassidy, Michael Mizrachi, Vladimir Shchemeley and Sirous Jamshidi. The 2011 WSOP Seven Card Stud Championship is scheduled event #21 on Sunday, June 12th at 5:00 pm at Rio Hotel in Las Vegas, Nevada. The buy-in for this 3-day poker event remains $10,000 which will surely be making history in WSOP once again. So, if you’re looking for some excitement aside from the 2011 WSOP Seven Card Stud Championship in Las Vegas; you will surely have your dose of fun and entertainment within the metro of Las Vegas, Nevada.